Are Healthcare Sharing Ministry Plans Worth The Money? 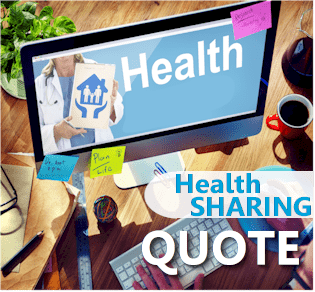 Health share comparison - Are health care sharing ministries worth it? Are Health Care Sharing Ministries Worth It? This is a common question we get when people start to investigate health care sharing plans against traditional ACA health plans. Will the health care sharing plan pay out when I need it? In terms of cost, they can be priced much lower than the Bronze plan (if there's no tax credit). 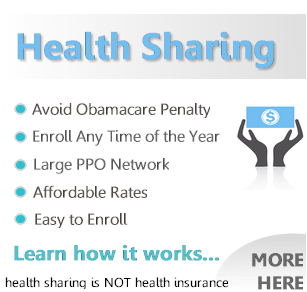 A health sharing plan is only worth anything if they pay out when you expect it to. So let's get into that. Let's look at what they are required to do and how we can make the safest choice based on 20 years experience in the health benefits industry. There are clues we can look at based on those decades of seeing and and bad options. 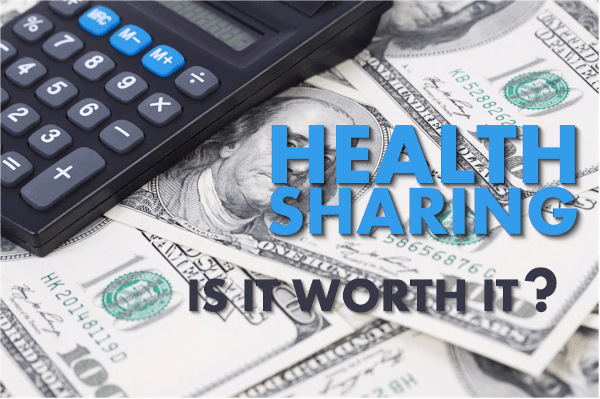 How do determine if a health sharing plans are worth it? Will health care sharing pay out? 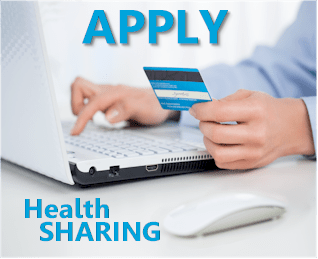 What health sharing plan is most worth it? That's really what it comes down to. For the solid health care sharing ministries like AlieraCare, their network is PPO and really strong nationwide. Let's first look at the cost piece. First, if can qualify for a tax credit on the ACA market, that's probably the way to go! The tax credits can be very big and it's hard to argue against this option. This especially true for people who are older. If you do not qualify for a tax credit and/or you can enroll because you missed open enrollment, health care sharing ministries become worth considering. In general, the Standard plans are running about 1/2 of the unsubsidized Bronze level plan. Make sure to determine if you can get a tax credit first! You can quote ACA health plans here. Here's a full article on the difference between ACA or Obamacare plans and health care sharing plans. What about expectation to pay. It's only worth the lower monthly cost if we have a reasonably good expectation it will pay out. Otherwise, it's not worth anything. This is where our choice of health care sharing ministries is REALLY important. There are 6 main ones (with another one just entering). We have a full comparison of the big 6 health sharing ministries here. We'll only deal with AlieraCare for health sharing. It's goes to the heart of this expectation to pay question. It's not health insurance. It's a membership. We don't have a legal recourse so we must pick best of breed to make it worth it. The reviews for all health care sharing ministries and even health insurance companies are pretty bad. No one likes their health insurance or health care sharing companies. If they pay out...they better! I'm paying all this money monthly. If they don't, I make leave a scathing review somewhere online. It's not your favorite restaurant. We have a review page of AlieraCare here since they have an A+ rating with the BBB. We ultimately have to look at our own personal experience. We've enrolled 100's of people with AlieraCare and the only complaint to date has been an occasional confusion with networks (which eventually resolved) and an occasional slowness to pay a provider. We can live with that if they're paying out for bigger expenses as expected. Next up to consider if a health care sharing plan is worth it...pricing and plan model. Here's the deal, the health sharing plan design is pretty comparable to what we had before Obamacare (2014). Based on that, the pricing should be at a certain level. Otherwise, they're not going to pay out for expenses! Some of the health care sharing pricing is way out of whack. That can only end poorly. Monthly costs will explode or they won't pay out. The pricing has to pass a certain "smell test" to have any chance of being worth the monthly cost down the road. Again, that points us to AlieraCare which has seen a very steady pricing over the past few years. A health care sharing ministry or health insurance plan is only as good as the size of enrollment. You need lots of bodies to spread risk (insurance) or expense (health care sharing) over. Otherwise, the plan will inevitably have a bad expense run and get into trouble. We want the fastest growing health care ministries to make it worth it. Right now, thats' AlieraCare and Liberty. The issue with Liberty is the network (or lack there of). You HAVE to have a network card to show a hospital or they're going to treat you very differently. That's just the way it is these days. Good luck telling the admittance desk that you have Liberty and they'll get paid when you're reimbursed! We can't recommend this to our clients for that one reason. After 20+ years in health care insurance and sharing, we're pretty conservative. We needed an option for people who can't enroll (missed open enrollment) or can't afford the ACA plans (no tax credit). After researching the health care sharing plans, we will only work with AlieraCare. They hit all our boxes for requirements in this space. We already mentioned that AlieraCare is our first choice in this market. You can get more info on why at our best health care sharing ministry article. Within their suite of options, there are very different options. In terms of cost, the CarePlus and the Standard plans are the two most popular plans. This is primarily due to the cost difference between them and the Bronze ACA plan (with no subsidy). The comprehensive plans are generally priced closer to ACA plans unless we have more family members. One option is to use the CarePlus and add their PrimaCare (for first dollar expenses). It's priced about where the Standard Plans are but with better waiting periods. The real difference between the different options is with waiting periods. You can real a good comparison and contrast of AlieraCare plans here. Consider cost, waiting periods, and core plan design to find the best value. They all use the same large PPO network and the payment expectation is the same within the listed expenses for each plan. As we mentioned above, the only health sharing plan we're comfortable recommending to clients is AlieraCare. The only health sharing plan we'll deal with after 20+ years experience is AlieraCare. The other health care ministries either don't use a network, have pricing that's suspect for actually paying out when needed, or are too small to weather a bad run on expenses. We have enrolled 100's of people with AlieraCare for a few years now. 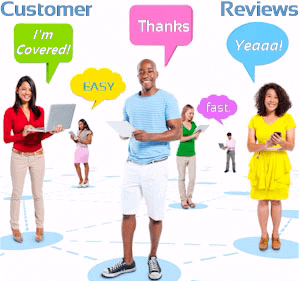 We've reached out to the clients for reviews of Aliera Care. The vast majority are still with AlieraCare (unless they we're offered group health benefits or became eligible for a tax credit). The network issue usually resolves. Basically, people are referencing AlieraCare but most providers are not as familiar with this brand yet. The actual network is PHCS or MultiPlan which providers know on their side. These networks are PPO, large, nationwide and well-established. Basically, AlieraCare is "renting" the networks rather than trying to create one themselves. This is very common in the health market. Just reference MultiPlan or PHCS and that confusion goes away at the office. The other issue will likely get better with time. One issue is that AlieraCare has grown significantly over the past few years. As a result, they have to ramp up the operations and logistics of their expense paying process. Keep in mind that AlieraCare does not decline anyone but there are waiting periods such as for pre-existing conditions of 2 years. Since most new enrollees are in that 2 year window, there's more work on the expense qualification side to make sure they're not tied to a pre-existing condition. Again, growing pains for a company that's very popular right now. The growing membership rolls is actually a good thing for members. It's speaks to their ability to pay expenses in the future. Ultimately, that's the key factor that makes a health care sharing ministry worth getting or not! Our goal is to help people understand these new options to see if it's a good fit for them.